This sativa hybrid is truly a special plant to the TGA family. It's their way of passing on, not only a great genetic, but also the memory of an even greater activist to our community, the late Jack Herer. 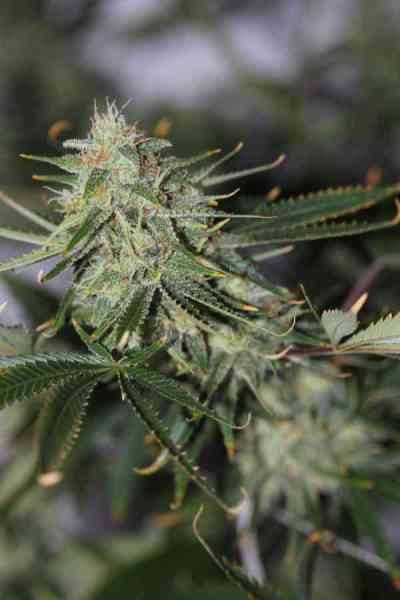 The mother plant, Jack Herer was gifted back to the Herer family after his passing in late 2010 through Subcool. This particular phenotype is a true treasure of the pacific Northwest. Galatic Jack itself is a very sativa dominant strain with vigor and a large stretch when turned over to its 12/12 light cycle. There are four main phenotypes, one of which tends to be a bit haze dominant, while the other three resemble more of the mother Jack Herer. The citrus, grapefruit, sweet lemonade musk will keep bringing your nose back to the jar for seconds. Typically it is a bit of a heavier smoke, with a lemon after taste on the exhale. Galactic Jack has a light, energetic high, great for the working individual that wants to be high and still accomplish all their daily tasks. Recommended for Indoor only.